Coming from a WSUS era, VUM has provided flexibility and good patch/remediation management for virtual machines until you start seeing this error message “Patch scan or remediation is not supported on ServerName because of unsupported or unknown OS”, this has hit me hard especially moving forward to x64 versions of Windows 2008 R2 and Windows 7. “Update Manager 4.1 and its subsequent update releases are the last releases of the product to support scanning and remediation of patches for Windows and Linux guest operating systems and applications running inside a virtual machine.” Supported document is found here. 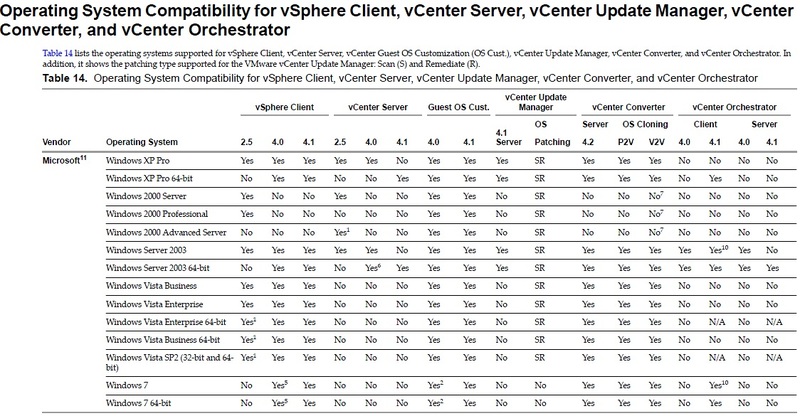 Make sure you rethink your patching management and deployment strategies for VM environment, I guess WSUS is still the way to go within Windows environment or purchasing MS System Centre Configuration Manager which makes software updates (not just windows updates) much easier with better control with other capabilities on top. 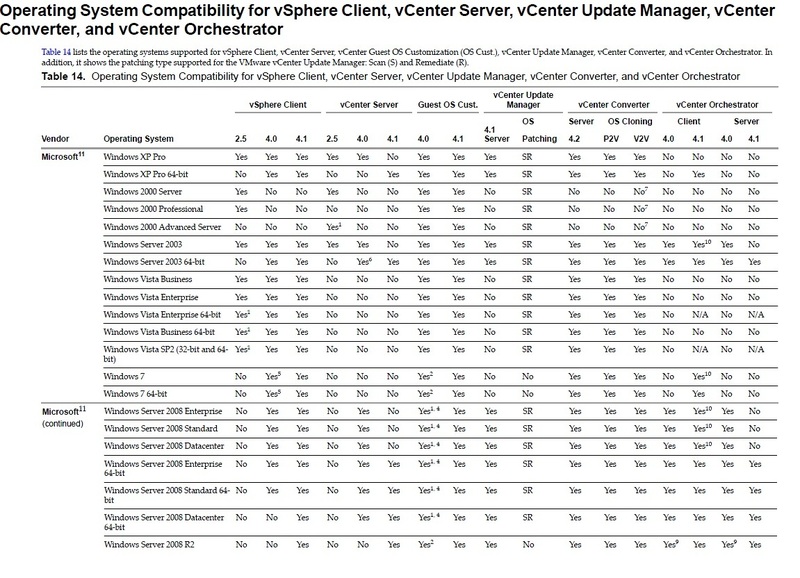 This entry was posted on 18 April, 2011, 11:06 am and is filed under VMWare, VUM. You can follow any responses to this entry through RSS 2.0. You can leave a response, or trackback from your own site.